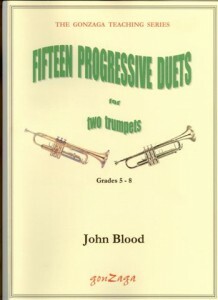 Written in 1982 as a series of short teaching pieces and carefully graded by technical difficulty, these studies have become a useful addition to the trumpet repertoire. Ideal for students and teachers, they are entertaining as well as technically instructive. My heart rests by the cool fountain. Dreamsong is published independently of its parent work because on its own it is highly suitable for recital programmes and for teaching purposes.